Net Traveller: Virtual Power Station Cheaper Than Snowy Hydro 2.0? Virtual Power Station Cheaper Than Snowy Hydro 2.0? Tomorrow I am giving a guest lecture to Systems Engineering students (COMP3530) at the Australian National University on "Environmental Concerns". As usual I will run them through "How Green is My Computer? ", an exercise in estimating the carbon emissions from a computer. However, to make it topical, I thought I would see if computers can provide a cheaper alternative to the PM's Snowy Hydro 2.0 Proposal. In February 2017, a team of ANU researcher, lead by Professor Andrew Blakers released a report proposing that "100% renewable electricity in Australia" was feasible. This would use pumped hydro energy storage: excess power from wind turbines and solar panels would be used to pump water into a high reservoir. At times when there was insufficient wind and sun, the water would run down to a lower reservoir and drive a turbine. Blakers and Fulton described how this could be implemented at the existing Snowy Hydro Scheme, in 2014. Malcolm Turnbull, Prime Minister of Australia then announced the "Snowy Mountains Scheme 2.0." (16 March 2017), to add 2000 megawatts of pumped hydro storage, at a cost of AU$2B ("Malcolm Turnbull plans to upgrade Snowy Hydro to version 2.0" (Video), ABC TV, 16 March 2917). However, are there cheaper, quicker alternatives for low pollution energy, using computer and telecommunications? Companies including Canberra's Reposit Power (Founded by ANU graduate Dr Lachlan Blackhall) aggregate the power from home solar systems (and batteries) and sell this back to the grid. However, there is another underused source of on-demand power available in people's homes: the air-conditioner. The air-conditioner is a large part of the energy supply problem but could be part of the solution. A home ducted home air-conditioner uses about 5KW of power. A medium room air-conditioner uses 2.3KW. What if we could pay householders to halve their air-conditioning energy use at times of high energy demand? Smart meters and some air conditioners have a Demand Response Enabling Device (DRED) option. This allows the electricity supplier to remotely switch the air-conditioner to a lower power mode at times of peak demand. The supplier offers a cash payment up front and a lower electricity charge to householders who take up the option. However, this is not very popular. If we could use smart-phones, and sharing economy techniques to provide more of an incentive to consumers, would this be cost effective? Cost of Snowy #2 power: $2B for 2000 MW = $1,000 per KW. 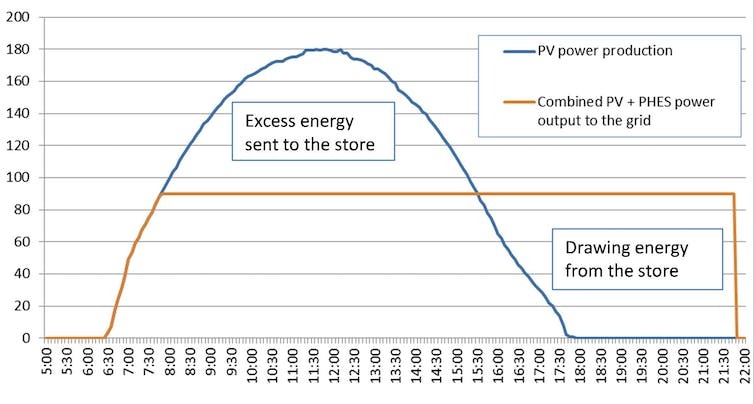 Assuming a consumer would halve their air-conditioner consumption on demand, 5KW to 2.3KW = 2.7 KW saved. This would have to cost less than $2,700 to be cheaper than Snowy #2. Retrofitting DRED may well cost more than this. However, smart air-conditioners may require no extra hardware. The difficulty would be making it feasible for the consumer to enable the function, without requiring a technician to visit. The computing power needed to provide the DRED function, could be provided by a computer equivalent to a $50 Raspberry PI. The computer needs no touch screen as it can instead use the consumer's smart-phone for the interface. The connection to the energy supplier can be via WiFi to the household hub. The system could be made fail-safe (and prevent the consumer cheating it) by having the unit programmed to operate on low power, until it receives an encrypted signal from the power company to switch to high power. However, how many households would need to have DRED? 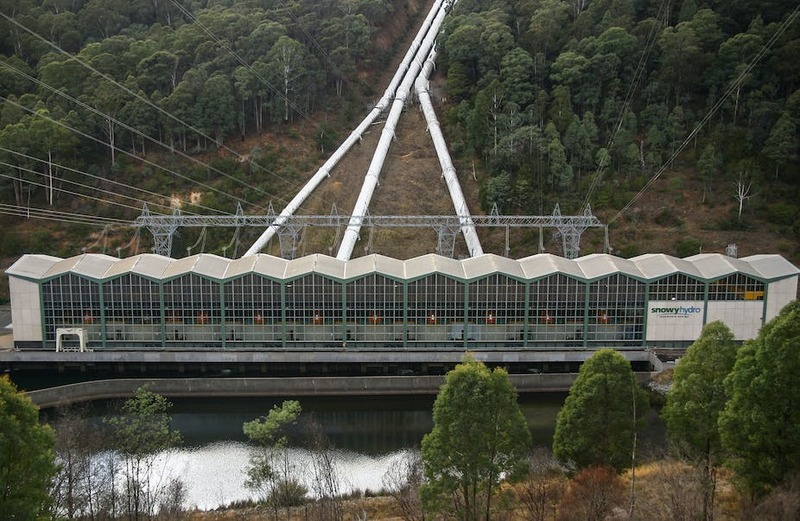 The Snowy Hydro 2 scheme is proposed to produce 2000 MW. At 2.7 KW saved per household, that requires almost three quarters of a million households: 8% of the 9m in Australia. Also it is unlikely that these householders would be willing to give up half their air-conditioning for long periods. But such a system might be used during the annual peaks and when there is a problem with regular supply, rather than have fossil fuel stations on standby. So I propose the Snowy 2 Scheme include a 2000 MW virtual power station to be operational by the end of 2021 at a cost of $200M.